Dr Jeremy Lind is a development geographer with over 10 years research and advisory experience on livelihoods in conflict areas and the difficulties of aid delivery in such contexts, including one year researching the impacts of armed violence on pastoralist livelihoods in northern Kenya. He is currently Research Fellow at the Institute of Development Studies (IDS) at the University of Sussex and a Research Associate of the Centre for Civil Society at the London School of Economics. 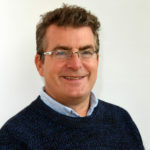 Prior to joining IDS in 2009, Jeremy was Lecturer of Human Geography at the University of Sussex, where he taught a range of undergraduate and graduate courses relating to environment, development and conflict. Previously he was Research Officer at the LSE, where he researched changing approaches on aid and civil society in the post-9/11 context. He has extensive fieldwork experience in north-east Africa, where he lived and worked for three years as a Research Fellow for a Nairobi-based international research institute. More recently he has worked in Afghanistan and India conducting research with international donor and aid agencies, local civil society, human rights activists and lawyers. His advisory experience includes work with the DFID Livelihoods Resource Centre, World Bank, Overseas Development Institute, Oxfam GB, Christian Aid, Medicines Sans Frontieres-UK, the BBC World Service, and the British-Irish Afghanistan Agencies Group. He is co-editor with Andrew Catley and Ian Scones of “Pastoraliam and Development in Africa: Dynamic Change at the Margins” (Routledge, 2012), co-author with Jude Howell of “Counter-Terrorism, Aid and Civil Society: Before and After the War on Terror” (Palgrave, 2009), co-editor with Jude Howell of “Civil Society Under Strain: The War on Terror Regime, Civil Society and Aid Post-9/11” (Kumarian Press, 2009), co-editor with Kathryn Sturman of “Scarcity and Surfeit: The Ecology of Africa’s Conflicts” (Institute of Security Studies/ACTS, 2002), as well as author of numerous refereed articles and reports. Oil exploration and appraisal operations have multiplied across eastern Africa over the past decade. This briefing examines lessons from Turkana, Kenya, where oil finds are associated with new conflict risks as well as changes in peacebuilding institutions and relations.